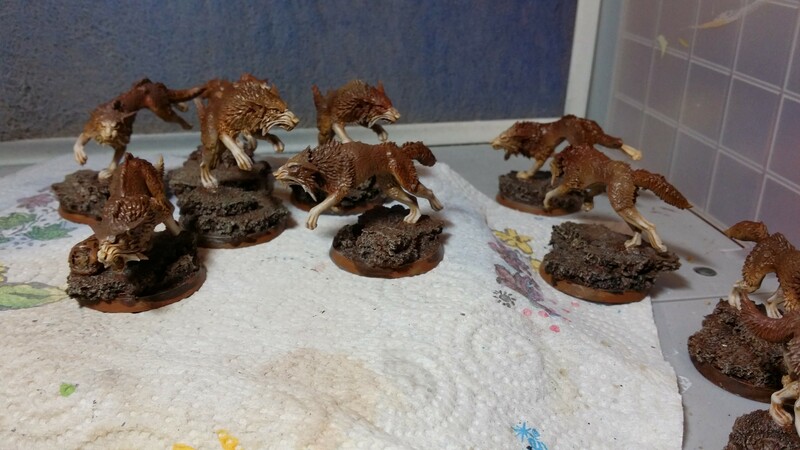 WIP: Games Workshop Space Wolves Fenrisian Wolf Packs cont. 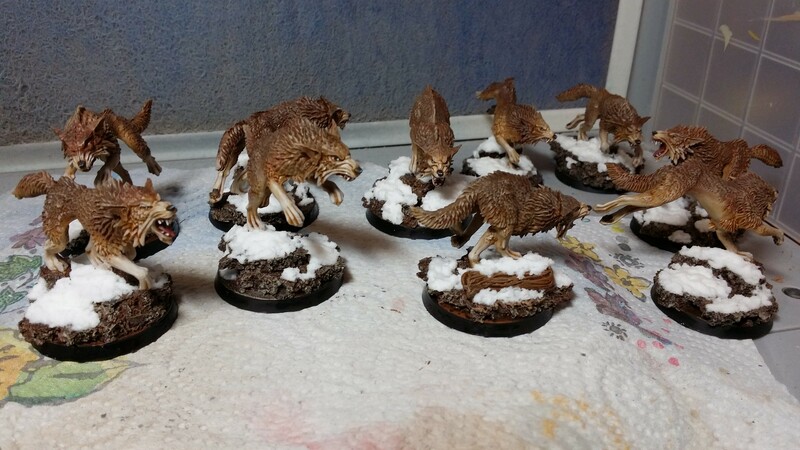 I got to do the finishing touches on the Fenrisian Wolf packs finally! First, I painted their mouths with VMA Mahogany. I really love this color, it is very versatile. After that I mixed a little RMS Pure White into the Mahogany and painted their gums and tongues. 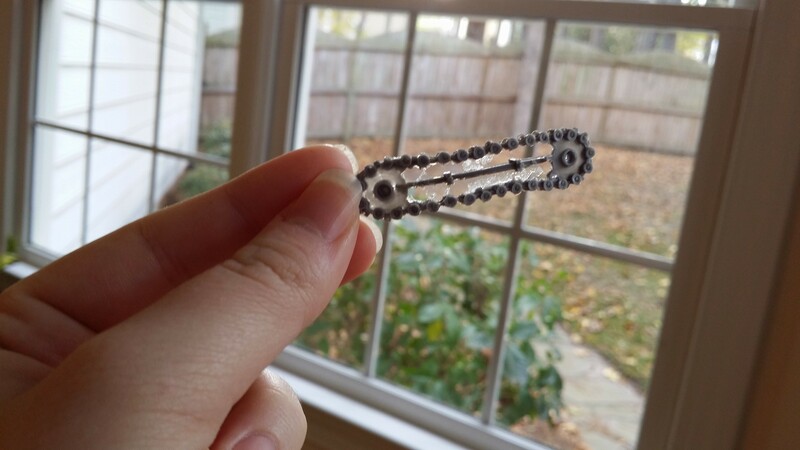 All that was left was the teeth. I painted them RMS Creamy Ivory and then highlighted with RMS Pure White. 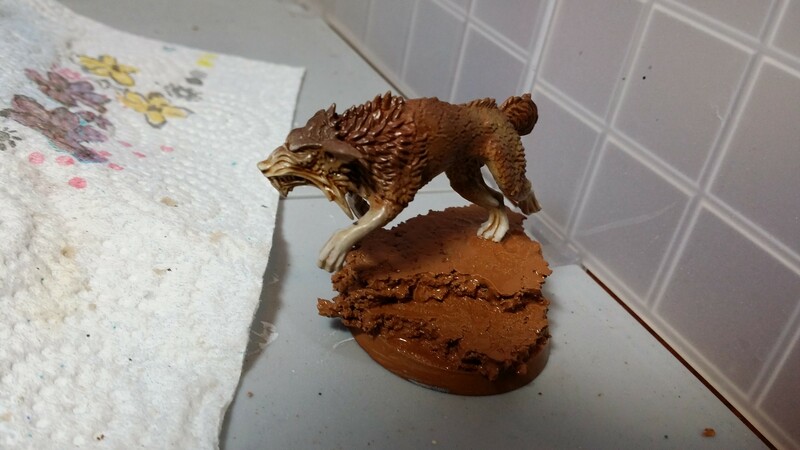 Then I decided to do a little extra highlighting on their fur, so I lightly drybrushed with a mix of RMS Chestnut Gold and RMS Golden Highlight. 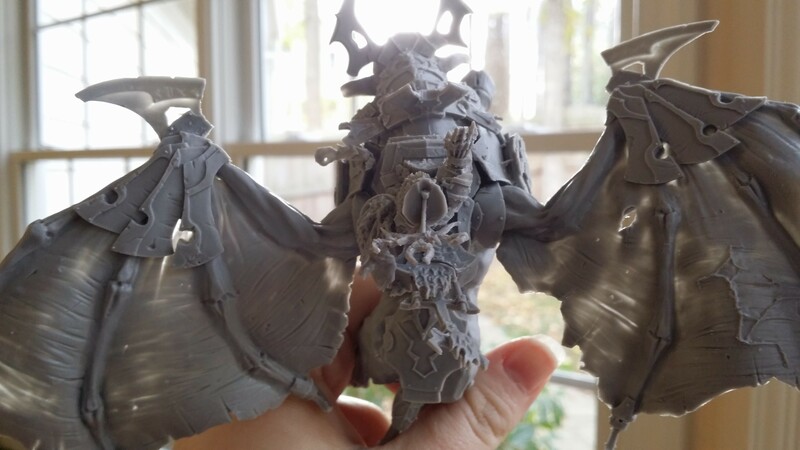 WIP: Reaper Karzoug, Rune Lord of Greed cont. 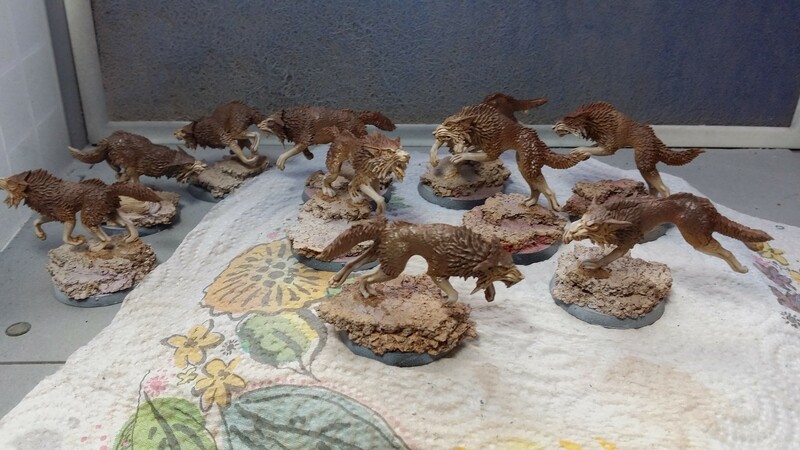 Next I basecoated everything that was going to be silver with a nice medium grey. 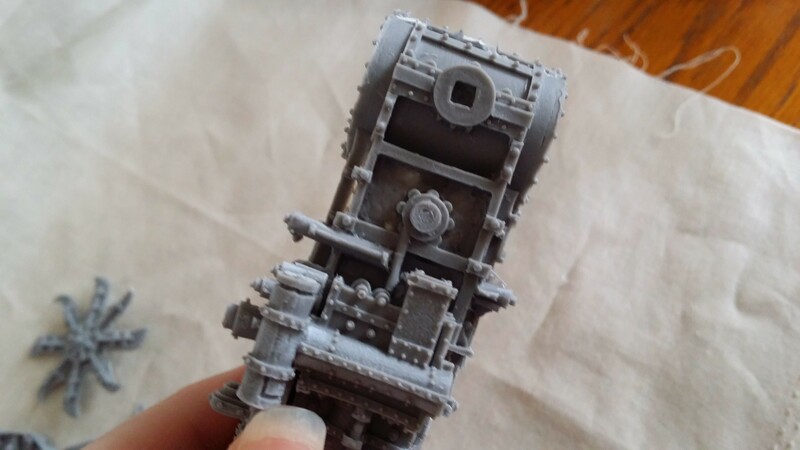 After that dried I painted those areas with a layer of VMA Gun Grey. 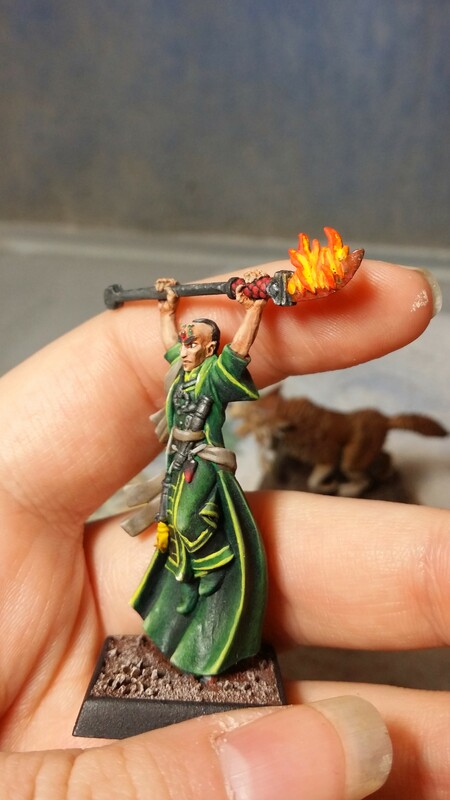 Then I dry-brushed the flames with orange, and glazed the blade with the same orange. The next step for the flames was to dry-brush with VMC Carmine Red. 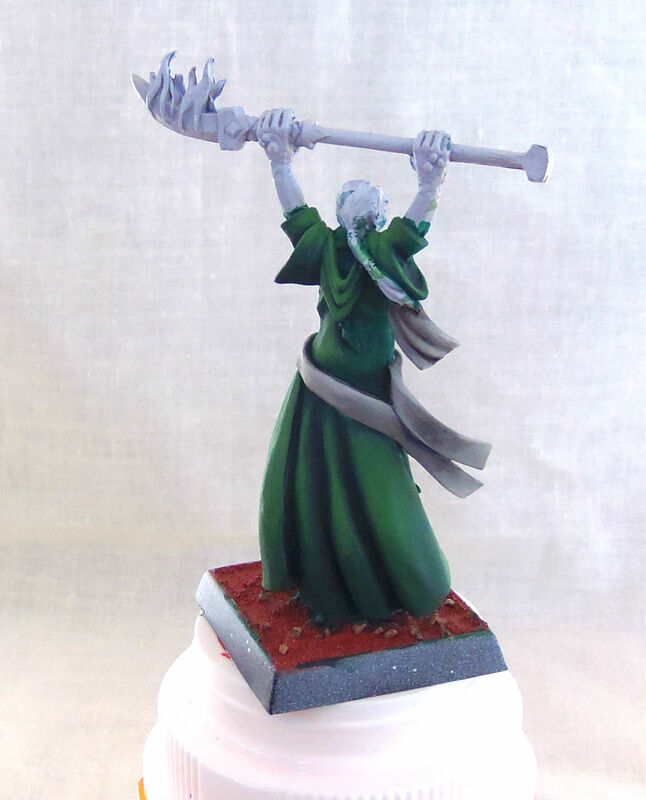 I also used that color on the patterned part of the handle of the staff. 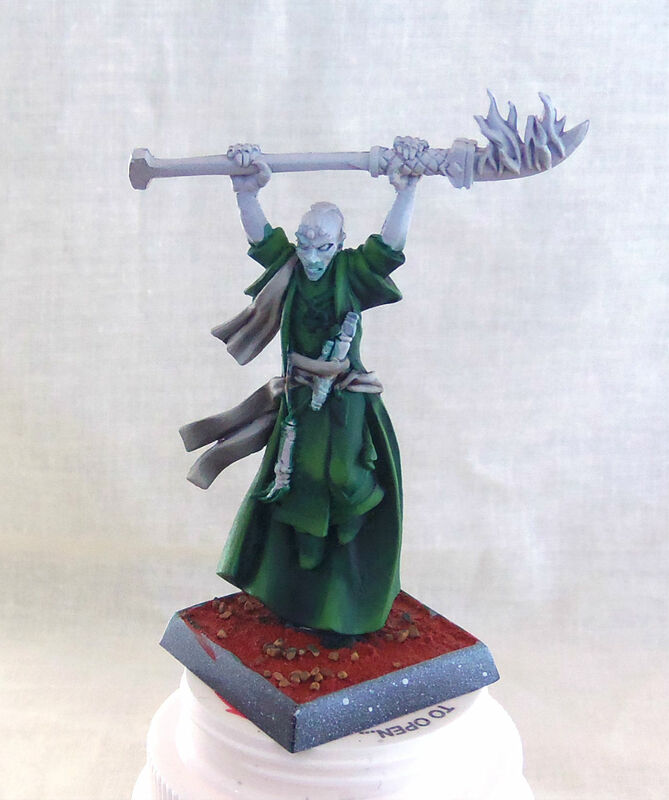 The staff part was then washed with GW Nuln Oil and then highlighted with a mix of VMC Carmine Red and RMS Pure White. 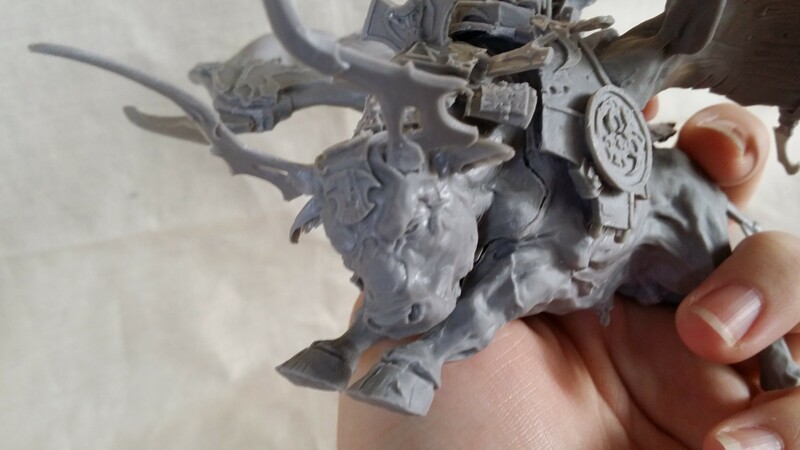 The rest of the staff and other silver areas were also washed with GW Nuln Oil. I painted the eyes with my usual RMS Linen White and RMS Pure Black. I also lined most of the cloth trim with VMC Deep Yellow. The gems on his hands and head were also painted at this point. 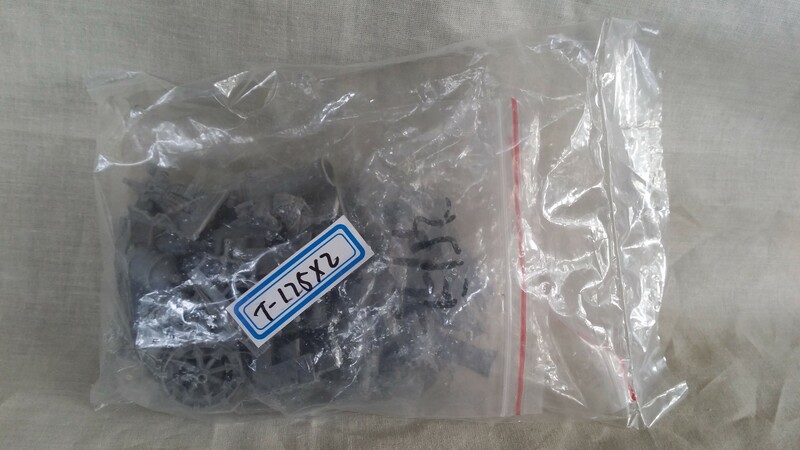 Last the hair was painted black and highlited grey, and the metal was highlited with Vallejo Metallic Medium. It’s been about a week since I got to work on this model, but the timeline got moved up a bit so now it’s time to do some serious work! 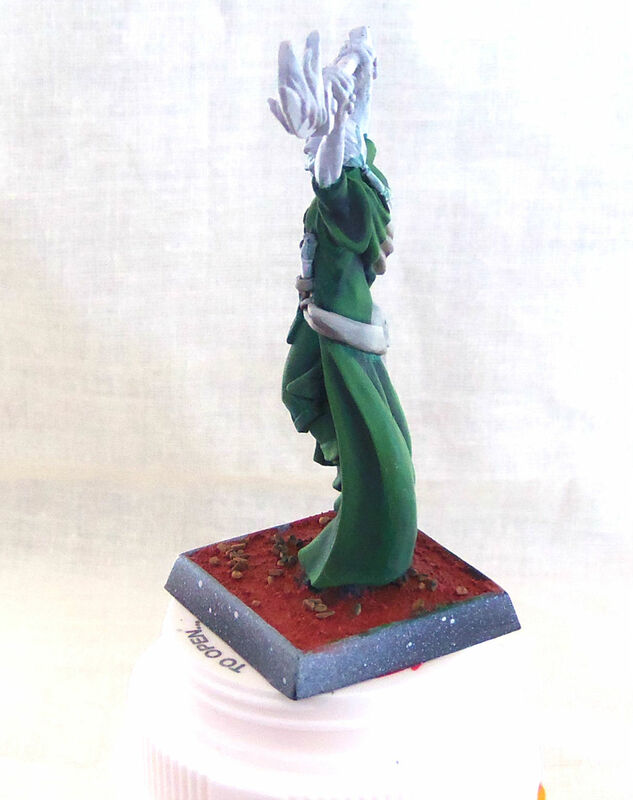 The first thing I did was use RMS Forest Green and RMS Moth Green to fix the wonky highlights. 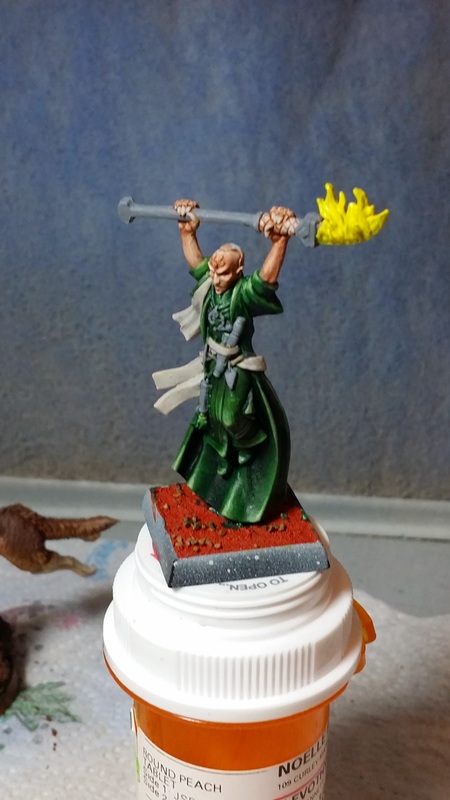 Then I used RMS Linen White to take the highlights further up and a GW Nuln Oil glaze to deepen the shadows. 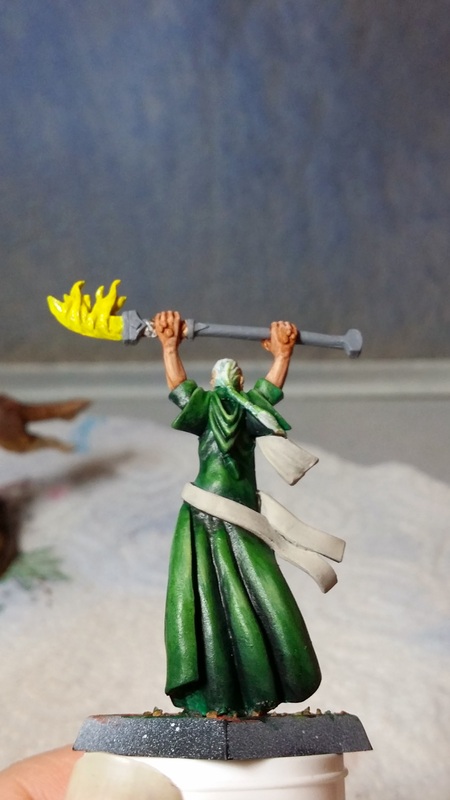 Next I took VMC Deep Yellow and VMC Yellow Fluo mixed together to base coat the flames on the staff. 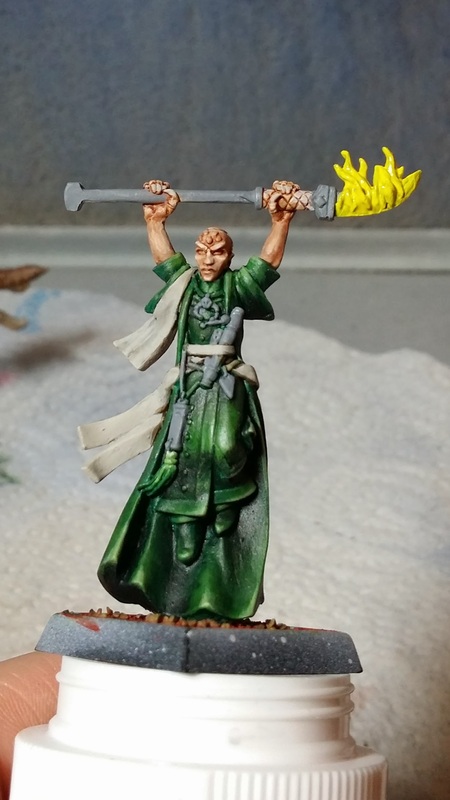 I also base-coated the skin RMS Tanned Skin and washed it with RMS Flesh Wash. The skin was then highlighted with RMS Tanned Skin mixed with RMS Linen White. 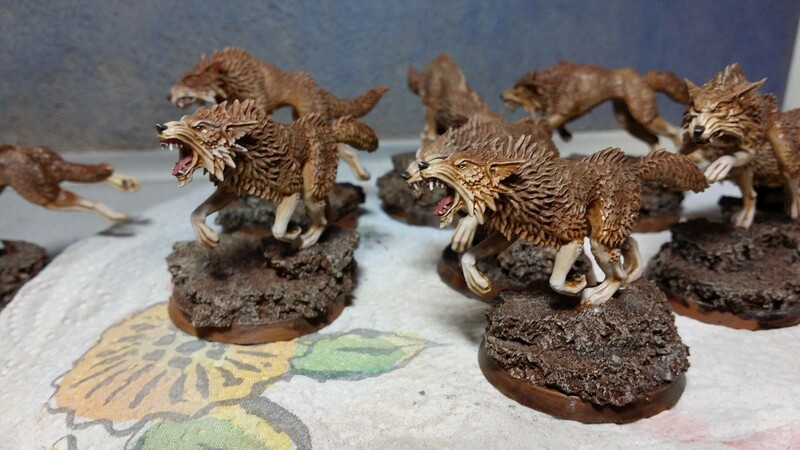 The eyes on these wolves are teeny tiny. I originally wanted to give them the whole treatment with orange-brown irises and everything, but it just wasn’t practical right now. 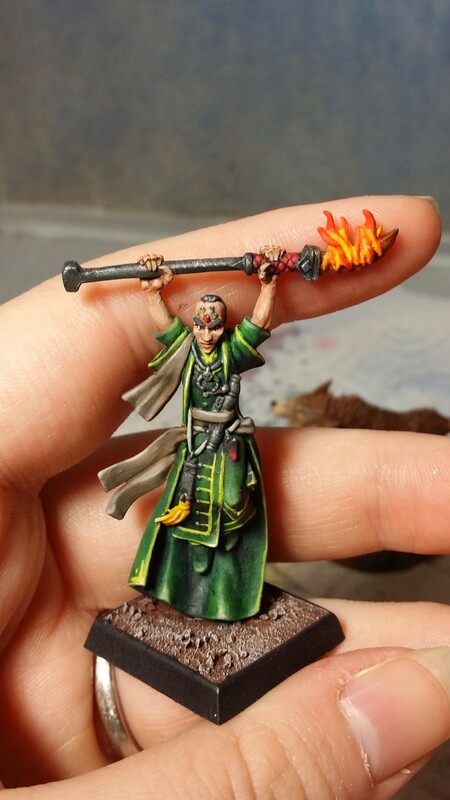 I’ve seen people do them as though they are glowing with OSL, and maybe I’ll do that on another pack in the future. I do really like that look, but these two packs are going to be a bit more realistic. I also did their noses and the highlights on the noses and eyes. At this point they just need their mouths and bases finished! 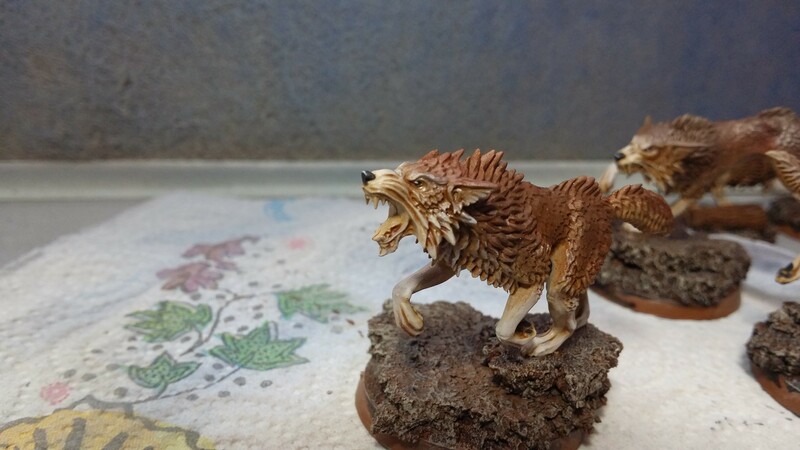 I’ve had to move up the timeline on Reaper Karzoug Rune Lord of Greed, so the wolves will have to take a break for a day or so. 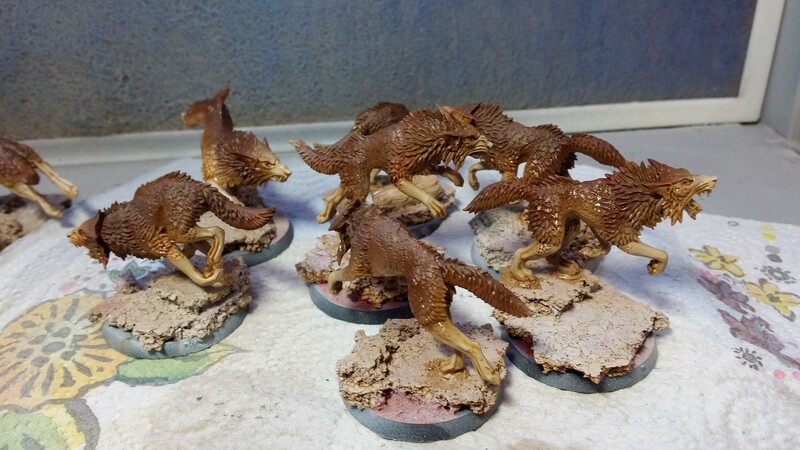 After the base coat on the bases dried I washed them with black ink. 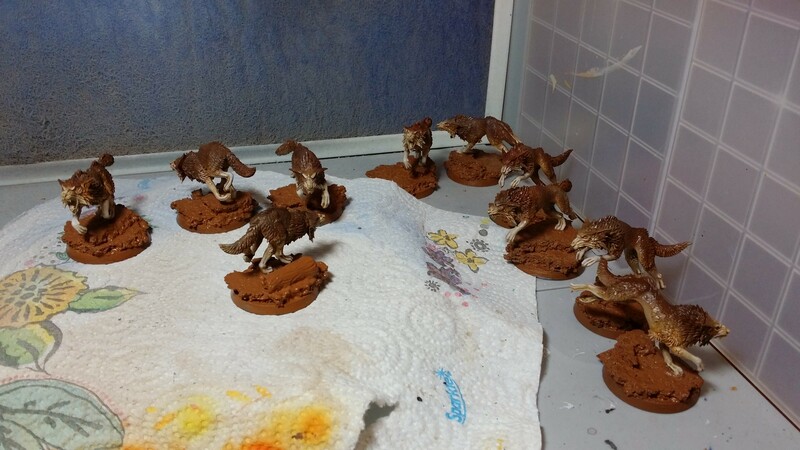 Then, after that dried, I dry-brushed them with RMS Terran Khaki. 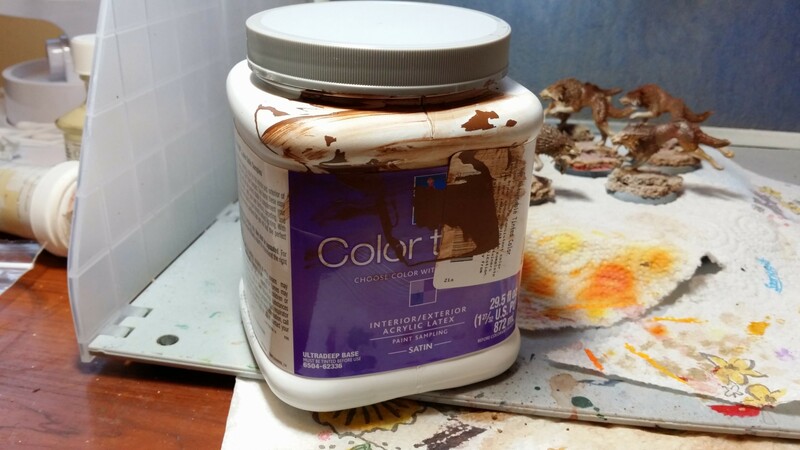 One trick that worked out quite nicely was to have Sherwin Williams mix up a sample can matching GW Calthan Brown. 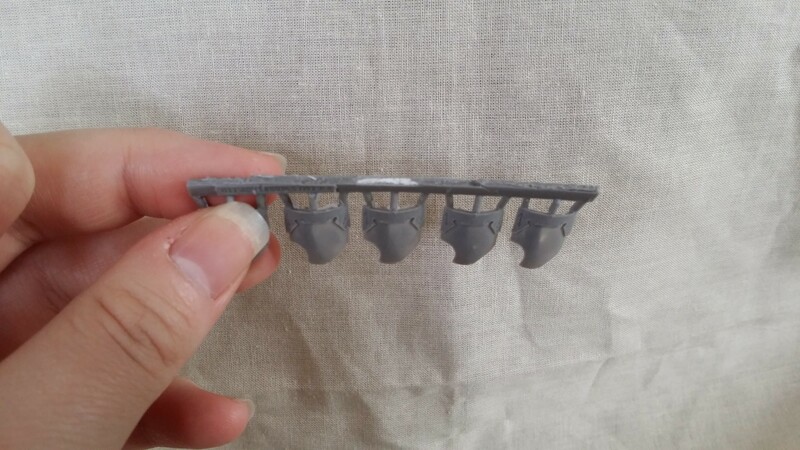 The paint is out of production from GW, but that is not the problem. It is a nice dirt brown, but every manufacturer makes colors that work well as dirt. 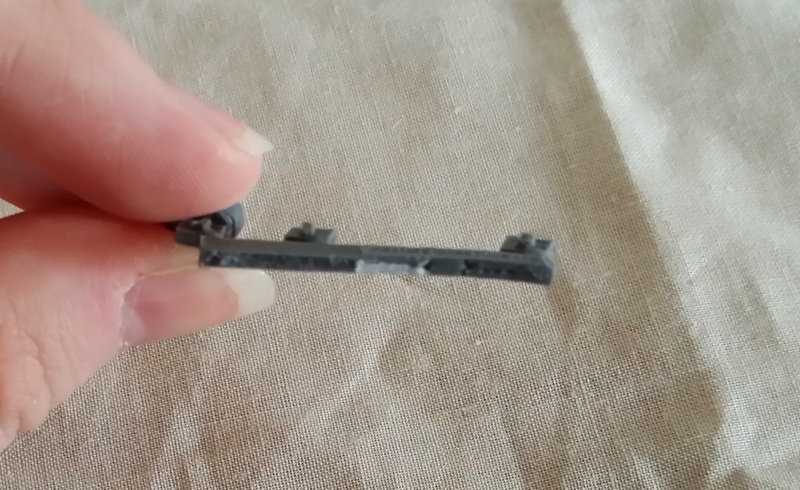 The problem is that basing can use a lot of paint, especially when you’re painting over glued sand. It is much cheaper to use a matched paint (or really just whatever dirt-brown catches your fancy) from Sherwin Williams, Lowe’s, etc. The paint is at least as durable, and you can get a container the size pictured for about the same cost as 2 pots of GW paint. 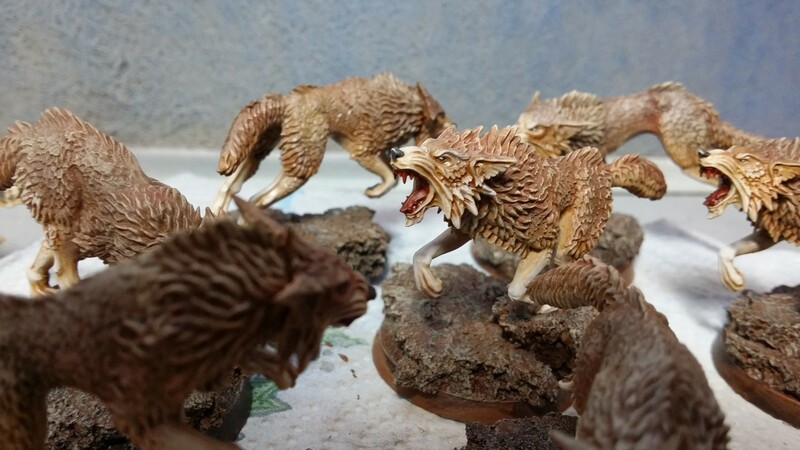 The next step on the wolves was to wash them with a mix of GW Seraphim Sepia and glaze medium. I don’t want the wash to be too dark, and the glaze medium both thins the wash and makes it much easier to control so I don’t end up with pools in obnoxious places. 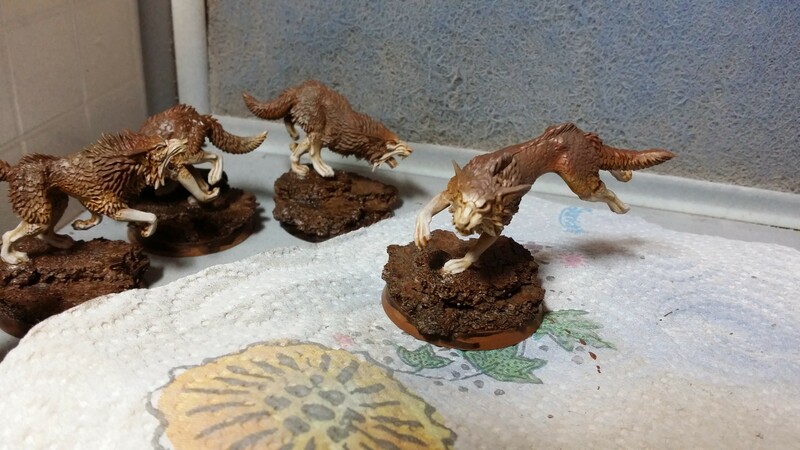 After that dried I used a very thinned RMS Aged Bone to highlight the legs, paws, and faces. 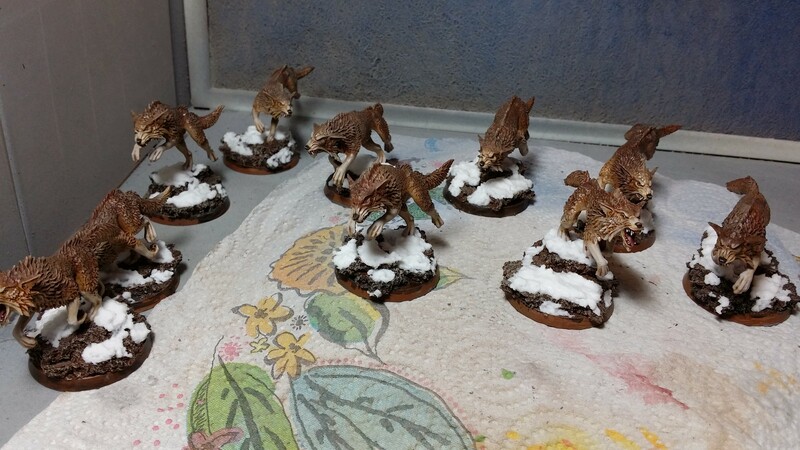 Next up are the details on the paws and faces, and then the snow bases! 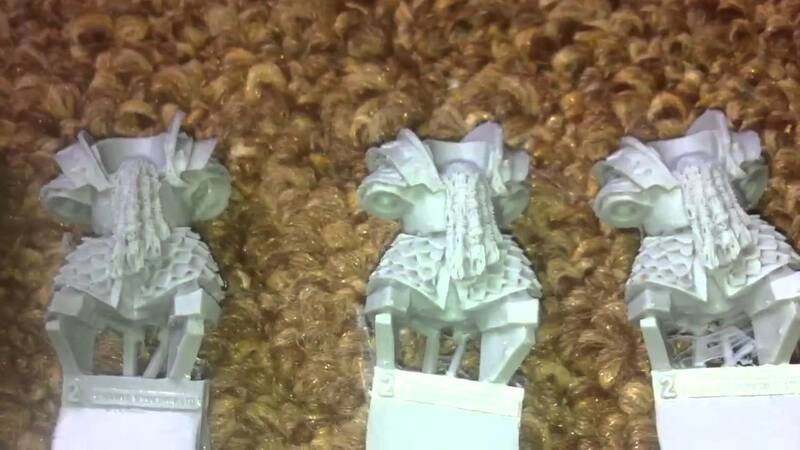 Recently someone I know bought what he believed were Forge World Chaos Dwarfs. 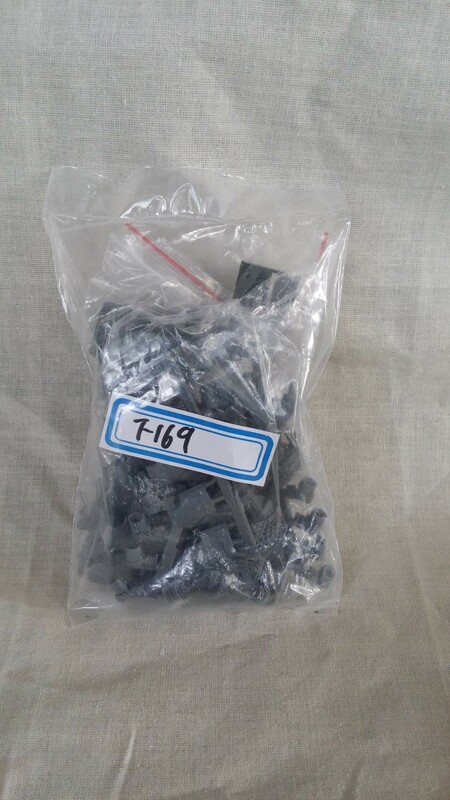 They were second hand, and he had no reason to believe they were anything other than what the seller claimed they were. 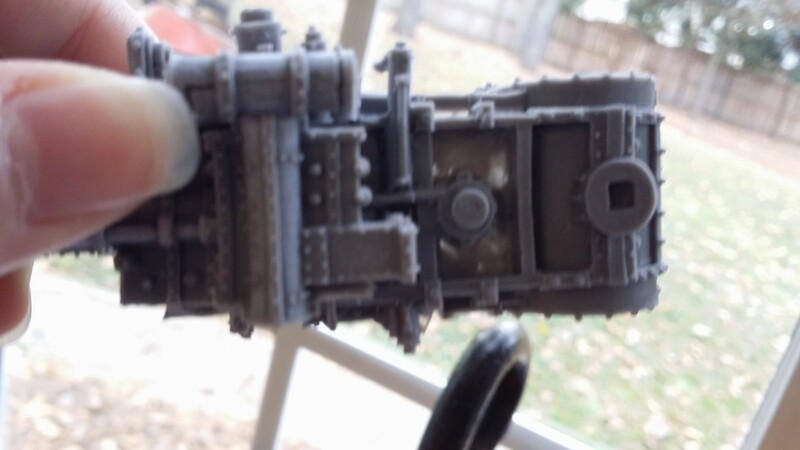 As used models they were a little worse for the wear, but still a great deal overall. 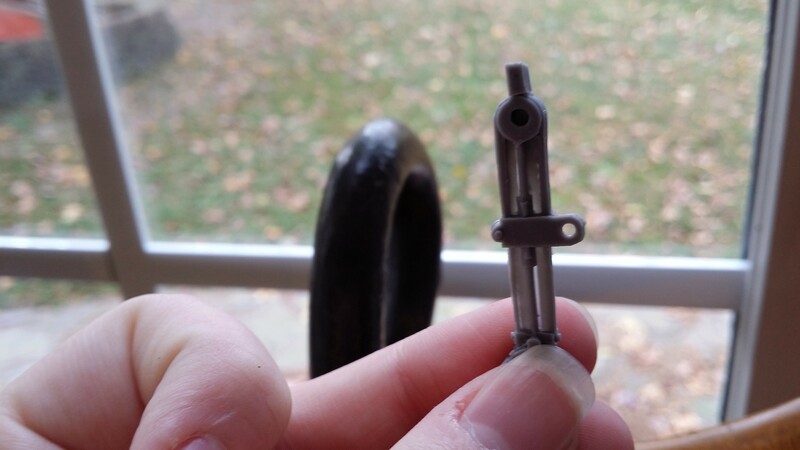 Unfortunately, the models turned out to be counterfeit. 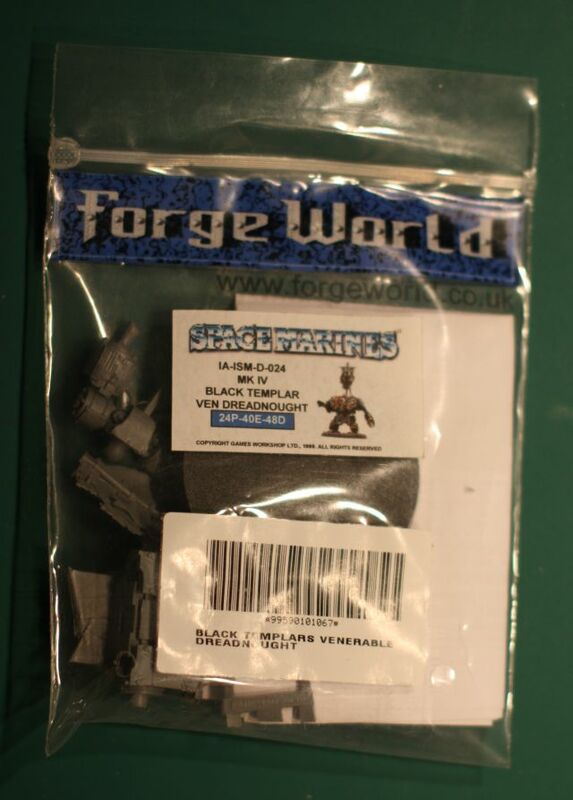 Now he is having to deal with a PayPal claim and the legal department at Forge World to get this resolved. Selling counterfeit goods, even unknowingly, is a violation of patent, copyright, and trademark laws. 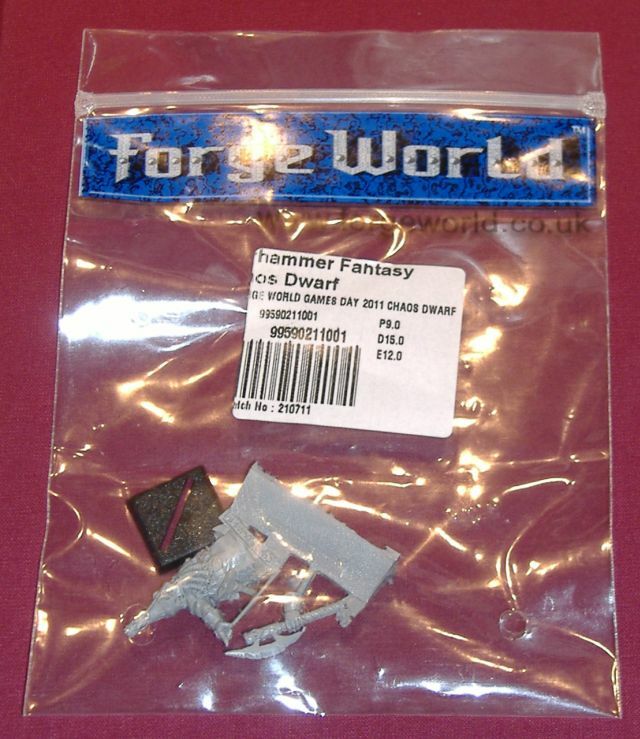 There seems to be a lot of Forge World recasting going on out there (especially on eBay), and not a lot of information available about how to spot it. 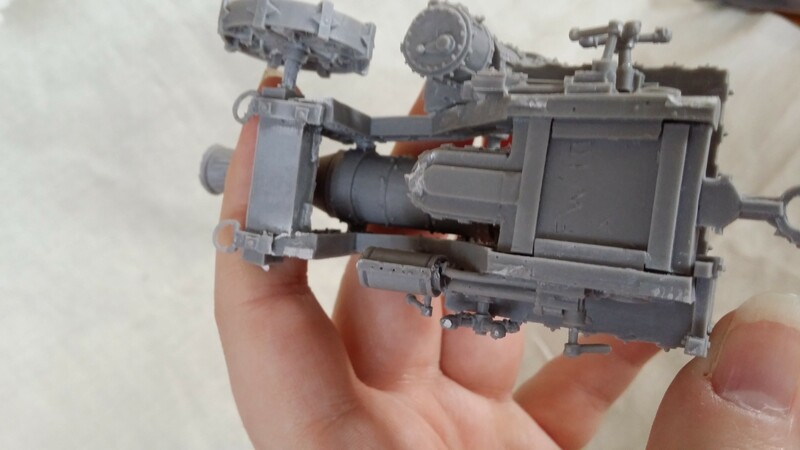 In the next week or so I plan to post about some of the ways to spot a fake Forge World model and how we determined these in particular were fake (aside from the confirmation from Forge World!). 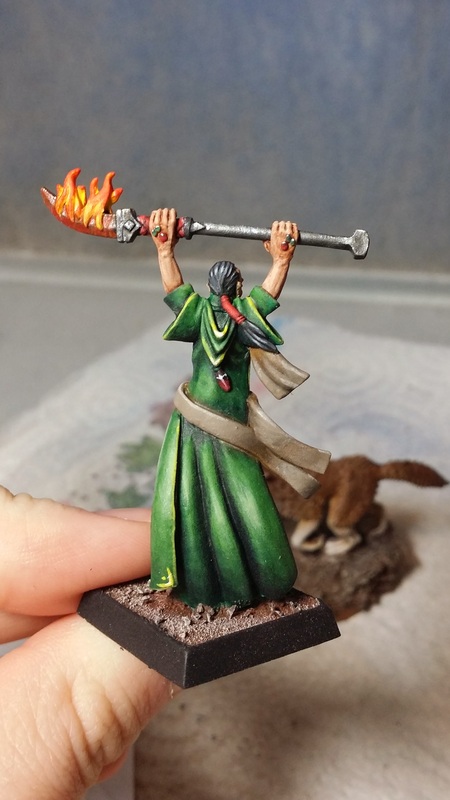 I started on a miniature to be used in a D&D group called Karzoug, Rune Lord of Greed. 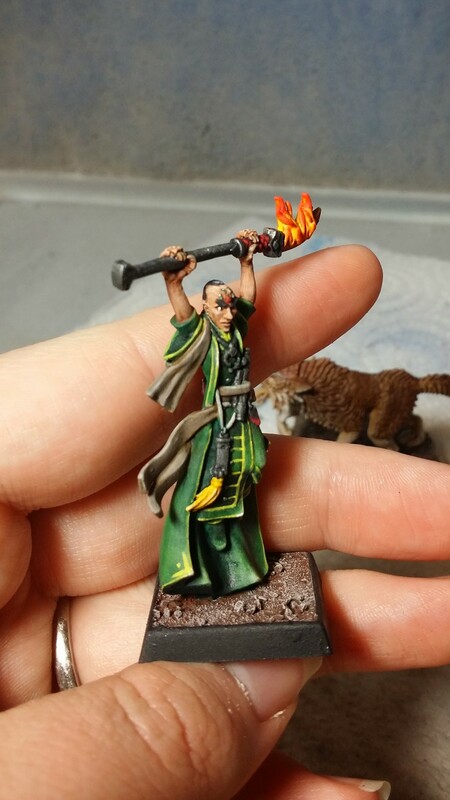 I feel like the highlights have gone a little wonky, so I’ll have to work on them some more the next time I get to work on this model. 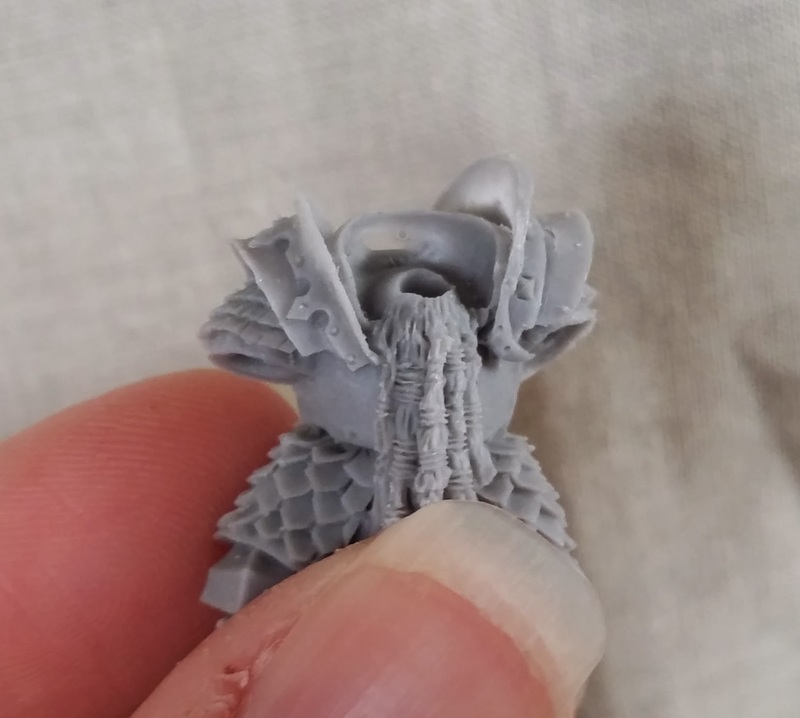 I do think this is a fun little model though, and I’m looking forward to doing the rest of him.